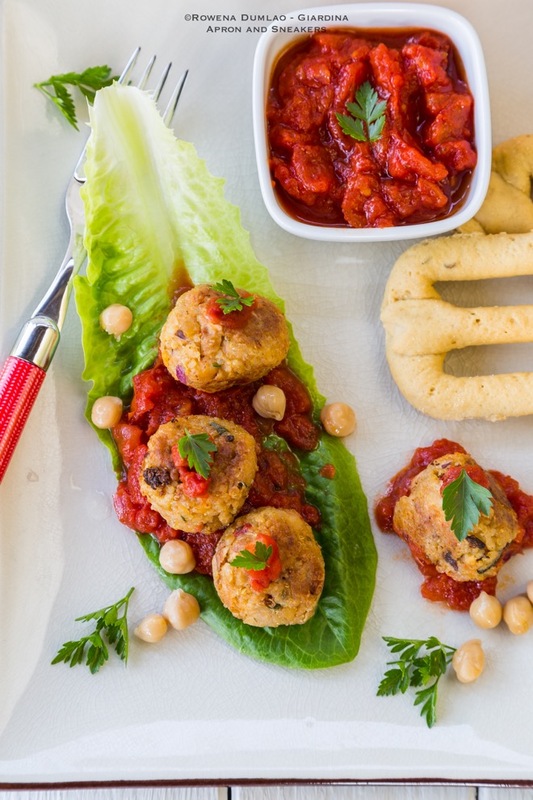 Along with the quinoa, chickpeas make great addition to help it become more compact. Aside from helping it become compact, chickpeas are also very rich in nutrients like protein, fibers, antioxidants, manganese, magnesium and folate. 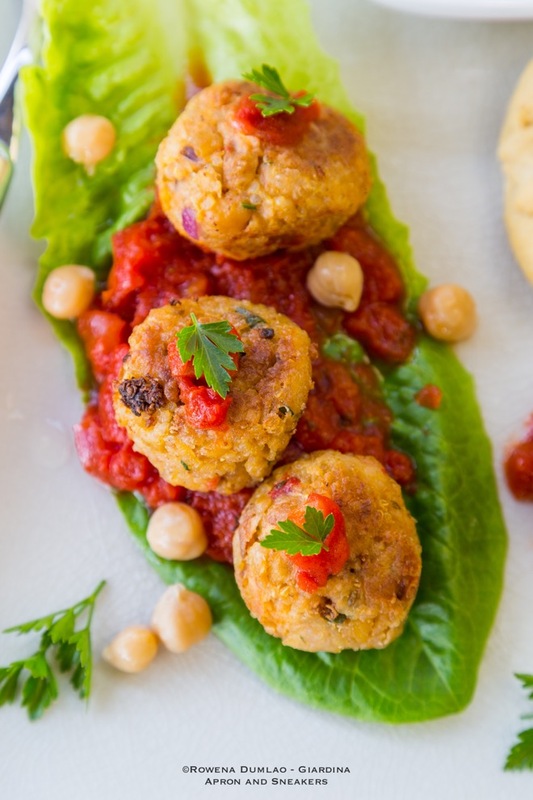 Being a substitute for meat in these meatballs, quinoa and chickpeas work together in giving a high amount of protein without the saturated fats and calories. Talk about healthy! Even if they are fried, these Quinoa Meatballs won't feel heavy because if you fry at a hot temperature (170-200 degrees C / 340-400 degrees F), the absorption of oil will be less. If you are frying again, remember this temperature range to avoid unnecessary oil going to your food. I am not a vegetarian but going meatless for just a meal makes me feel better. Maybe it's all in my mind but it does help give me a healthier approach to my body. Quinoa and chickpeas are great alternatives to meat for the replacement of protein. 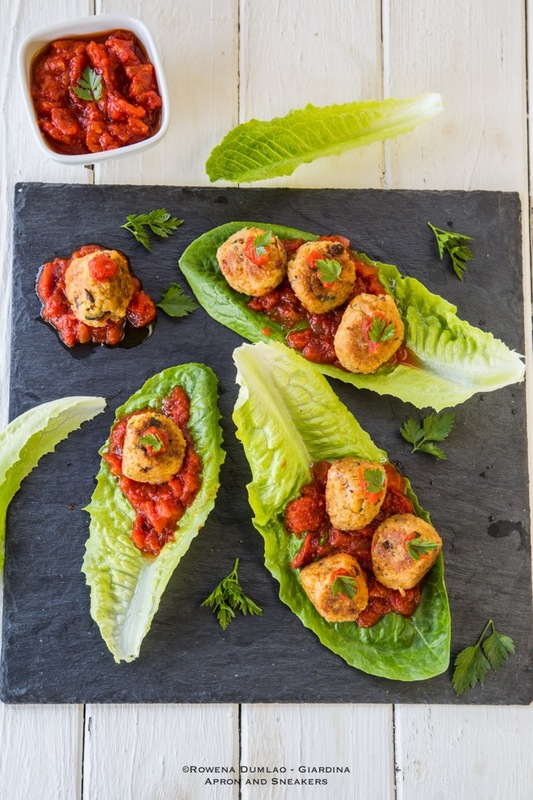 These Quinoa Meatballs taste great as they are combined with some Pamigiano Reggiano (Parmesan) cheese, onions, garlic and dried oregano. 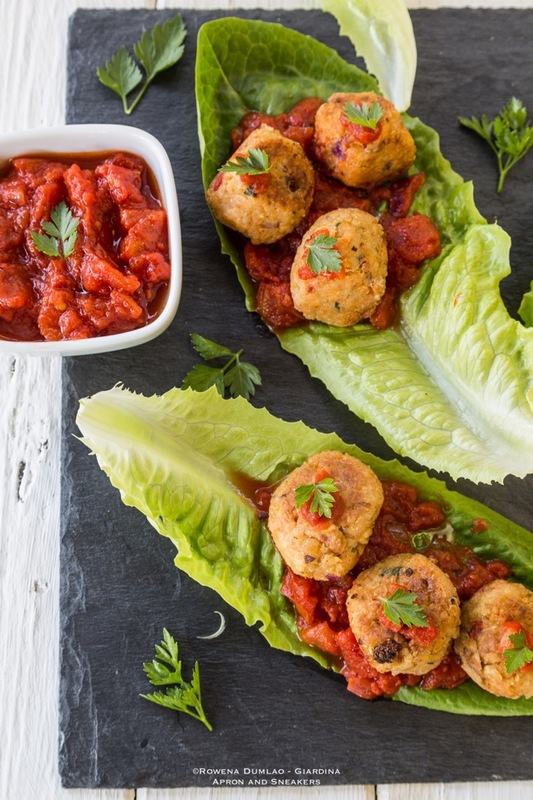 They are packed with Italian flavors and when eaten with marinara sauce (or make your own Simple Tomato Sauce like I do), it's absolutely delicious! 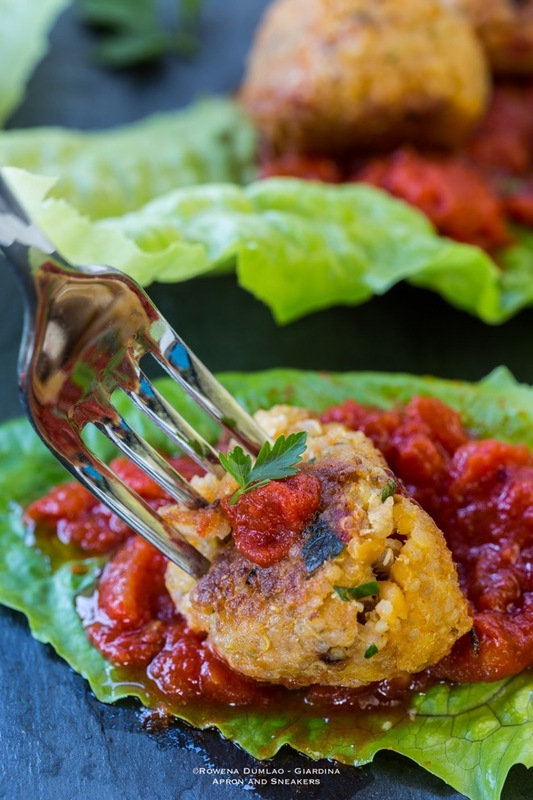 Get this Quinoa Meatballs recipe at Skinny Ms., a health-dedicated site where I create recipes. Hope you're having a wonderful weekend!